Last year, we made the Standard Edition of ServiceDesk Plus FREE - without any restrictions on the number of users, technicians or tickets. The objective was to help organizations take their first step towards organized IT. 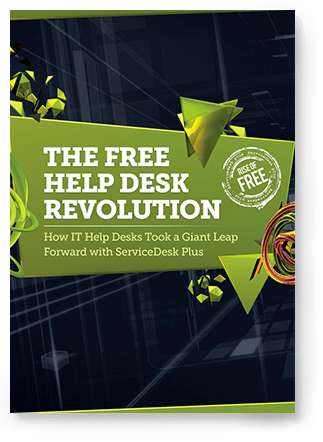 In just a year, more than 20,000 organizations, across 120 countries, have taken a giant leap forward to a better IT with the ServiceDesk Plus Free Standard Edition. Join our free help desk revolution and streamline your IT help desk today!